Hundreds of thousands of dollars spent on jewelry people never wear more than once... Thats a waste of money and a shame! Can you imagine spending two to three hundred dollars on a necklace you wear once every five years? Or worse, having your favorite necklace break from normal wear and tear and now you need to spend even MORE to get the same quality? This is where the Choker Pendant comes out to shine. 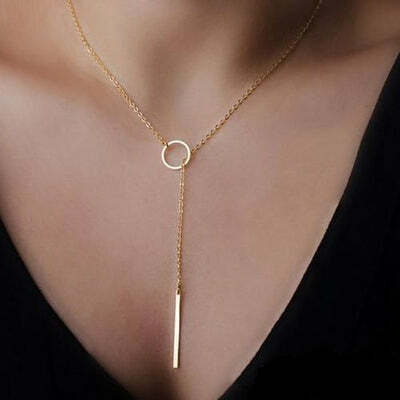 Simply put the pendant through the loop and adjust for any size & comfort, a unique style and design catches attention instantly to keep you on his mind. Retail price of 74.99 knocked down 80% off? Sounds like a no brainer to upgrade your fresh appearance and give you the shine you deserve. Limited Quantity Available.... 80% Off today for first 50 orders!